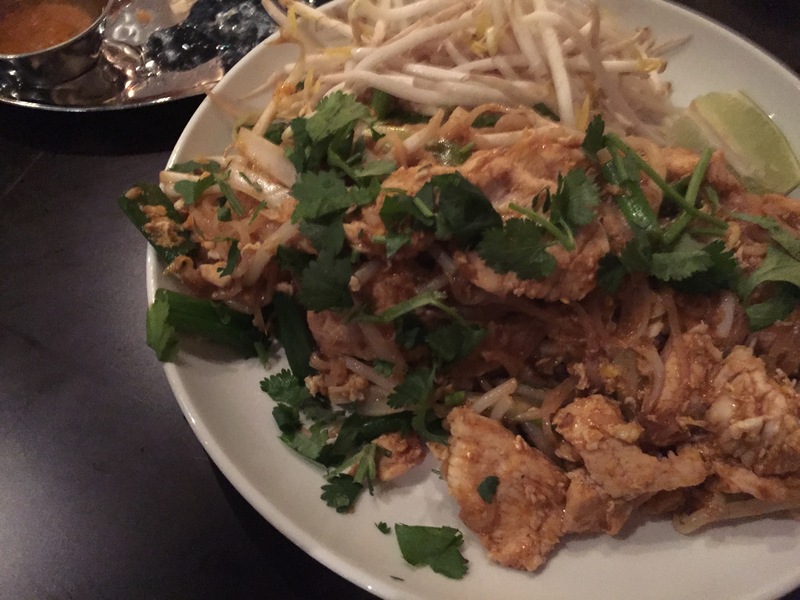 triadfoodies “Hit List”–a good one! 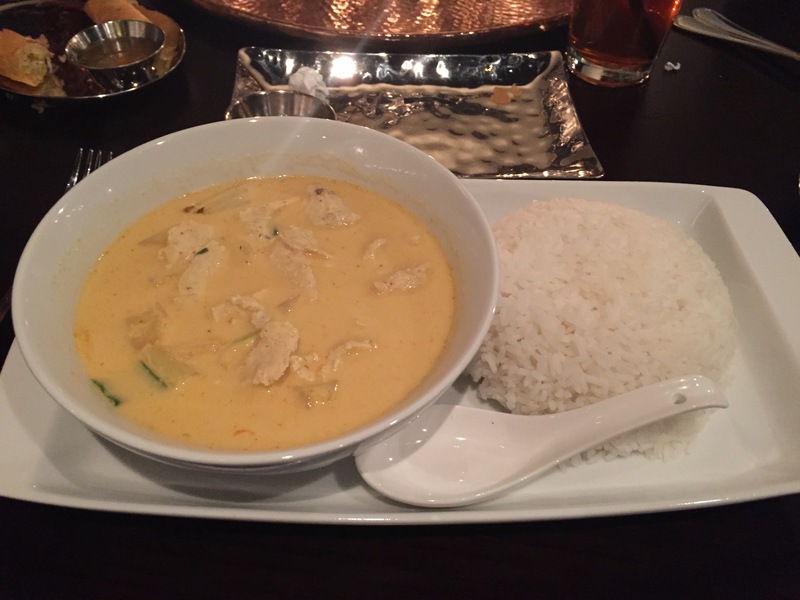 I’ve been kind of getting a stockpile of places that I’ve tried and loved and been kind of busy to post them all individually so I’m going to take some time here to share some great places that you must try. A few new ones, some old faves that I’ve not mentioned on this here blog and pics and accolades to go along with them. Links and addresses are included. I must start with a restaurant in the town in which I live. A place that it’s been so long that I had eaten there that I didn’t even want to go. It’s kind of packed on Saturday and my parents, sister…all of us and our kids got together for birthdays. I must admit, I wasn’t keen on visiting Outwest. 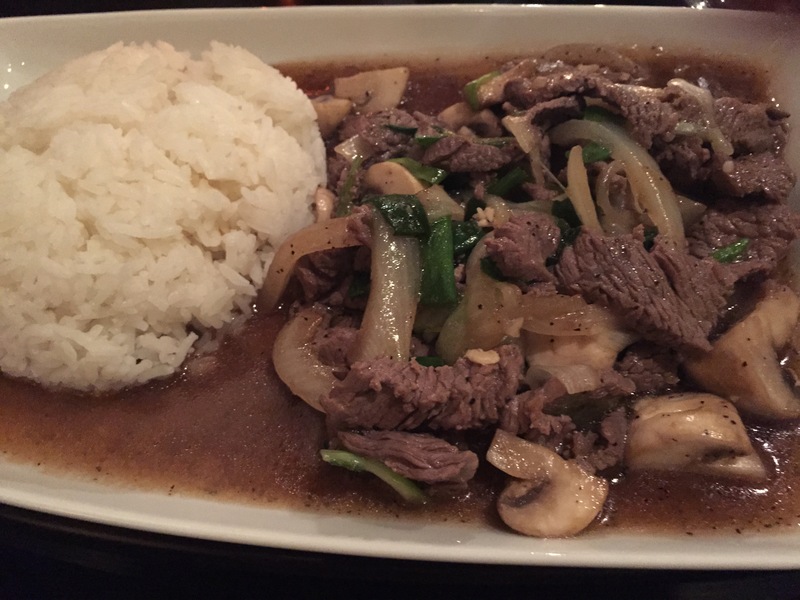 But I was pleasantly surprised by great steaks, hot food, and all that you’d expect from a steakhouse. Believe it or not, I decided to NOT order steak because I’d heard the Tuna was delicious and I’ll have to agree. So, if you need an “in-between” the cities meeting spot that’s casual and you get there early enough, you won’t be waiting in all the revelry that seems to arrive around 7:30. It does get busy Outwest. This place is gorgeous. 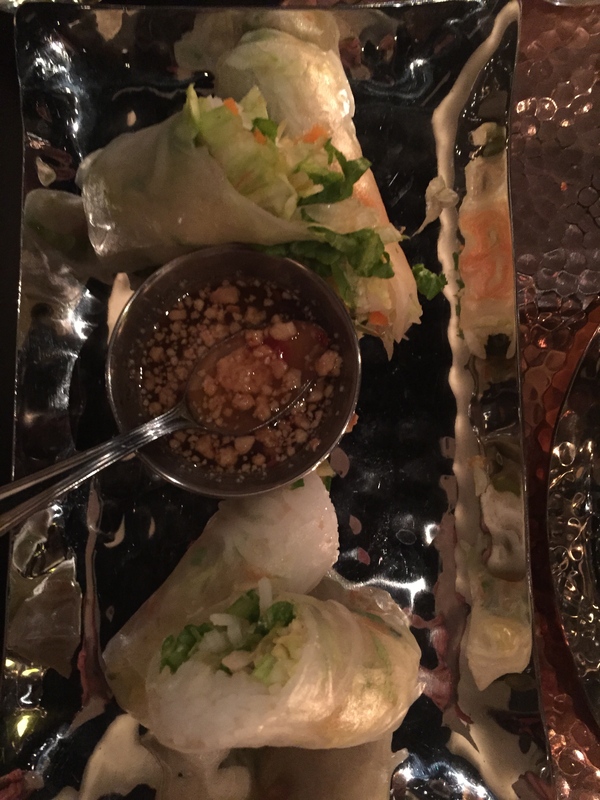 So dimly lit to completely prepare you for your Asian fare. The food is really great too. 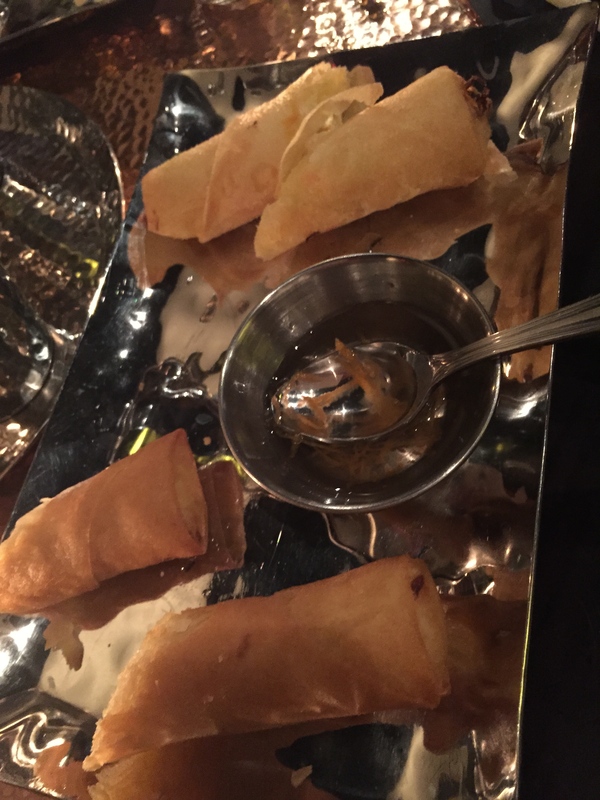 Our table had fresh Spring Rolls, Fried Spring Rolls, Pad Thai, Chicken Stir Fry, Black Pepper Beef…and you know Mr. foodie got Curry. Each and every dish was fresh and tasty. It’s located in a little center that used to be a car dealership. 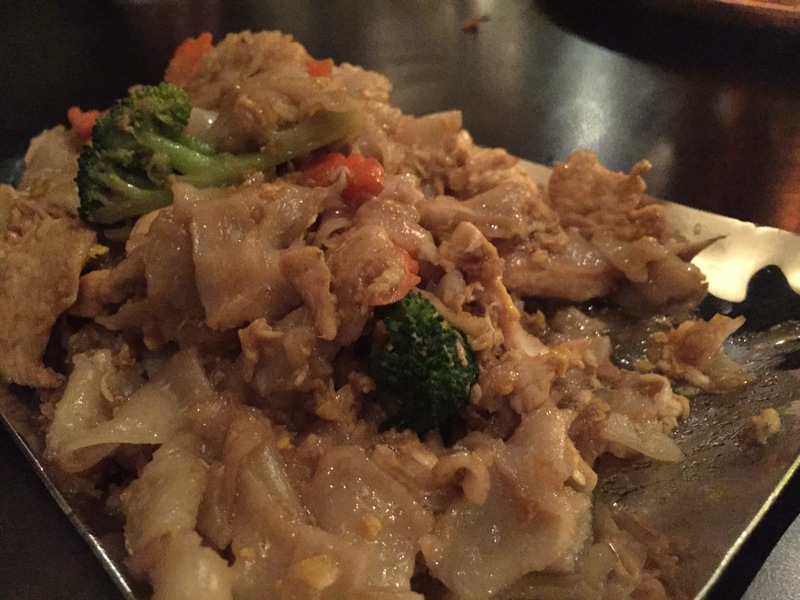 Check them out when you’ve got a craving for Thai cuisine. You won’t be disappointed. Arguably THE BEST sushi in Greensboro. There’s no other place that offers such interesting and innovative sushi with its fusion inspired rolls. 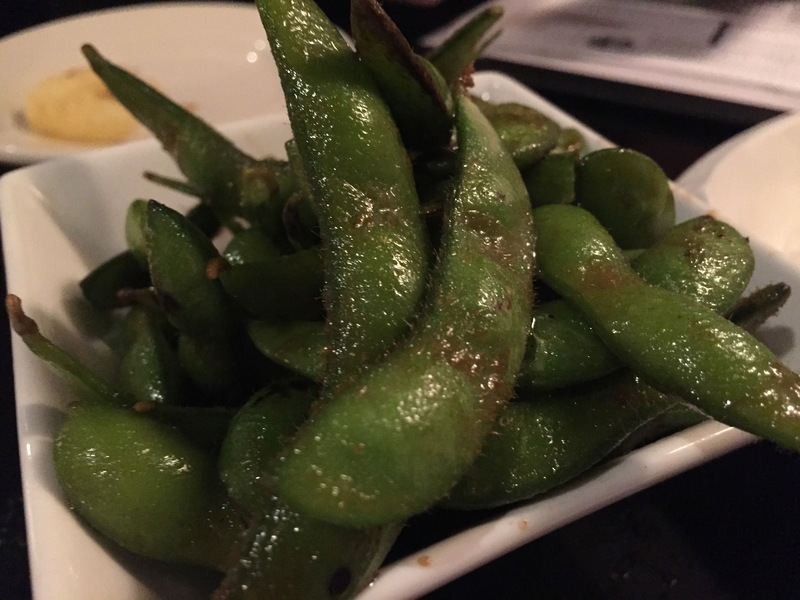 And whatever you do, you MUST get the Garlic Edamame. It is incredible. 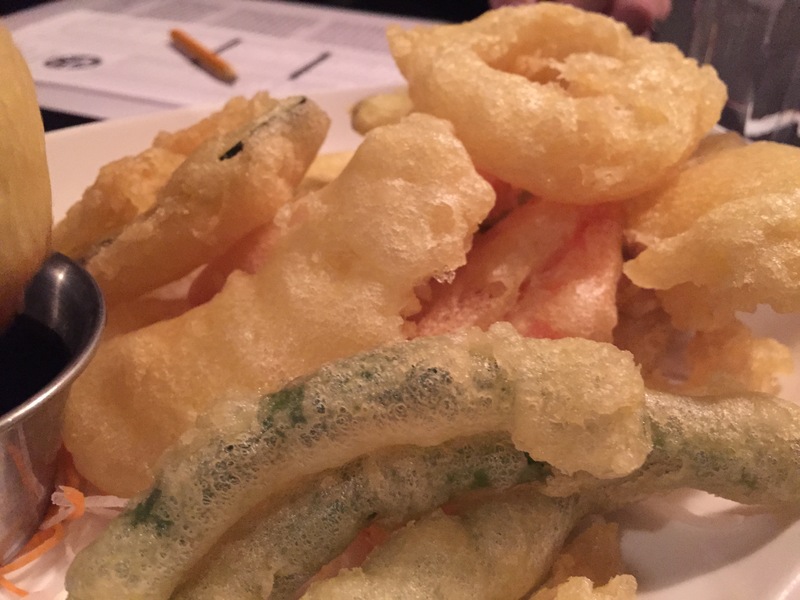 The Vegetable Tempura is also very pleasing but what I do miss at Sushi Republic is the slight sweetness that typically comes with the dipping sauce that goes with tempura. 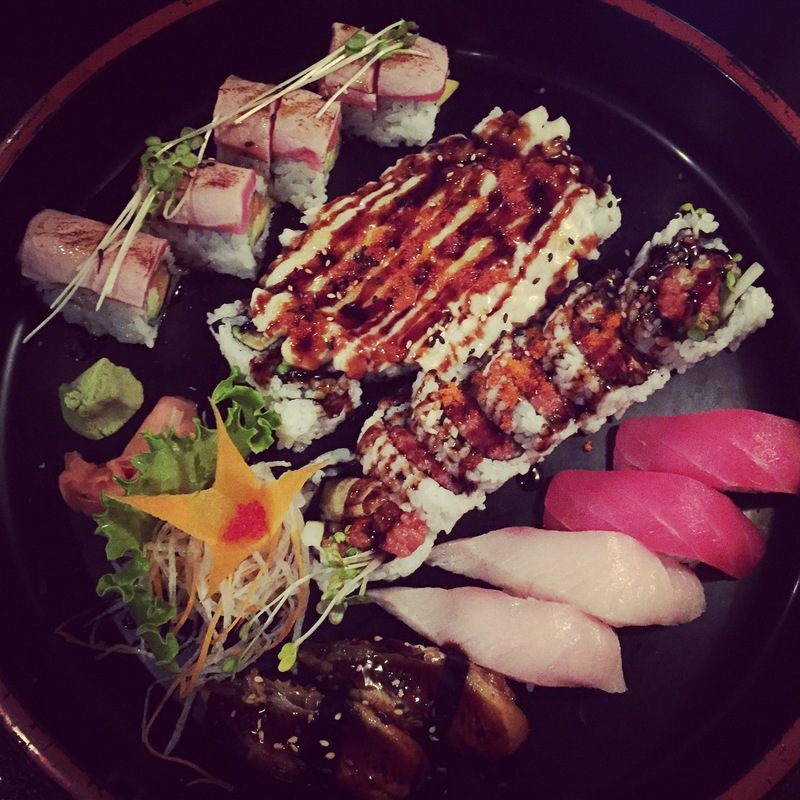 It’s still really good and the sushi…I’ve never been disappointed. My favorite is still the Black Tiger Roll. It’s been a long time coming…eating here. Every time I’ve tried there’s been a line out the door. So we arrived on Sunday at 4:30 because the other place we wanted to try had a line out the door. And we didn’t feel like waiting (which is weird because it was only 4:30) so we told ourselves, “Hops might not have a wait!” But they did. It wasn’t out the door…we were 2nd in line but we did have to wait. So that tells you they might be worth it. So after about 20 minutes or so we were seated. I don’t have many pics here but we all got burgers (except the kidlets, who shared chicken fingers). 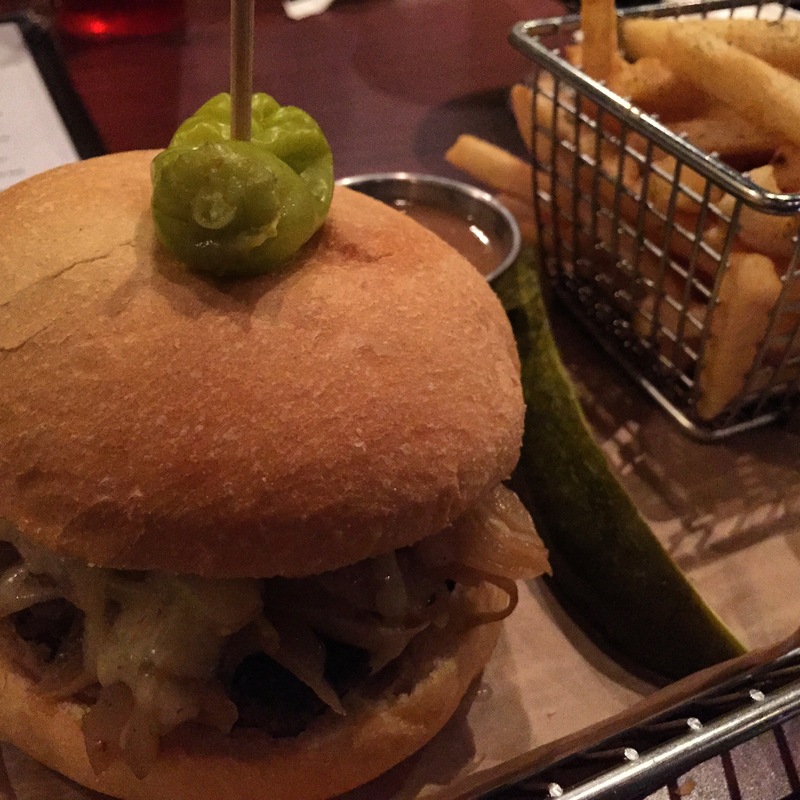 Mr. foodie ordered a burger with Chevre and Pepper Jelly…YUM! I ordered the French Onion with caramelized onions, gruyere cheese, garlic and thyme aioli. It came with its own jus/gravy…I didn’t think it needed it and only dipped a couple of times. I highly recommend the Garlic Rosemary Fries. Presentation is awesome and service is great. 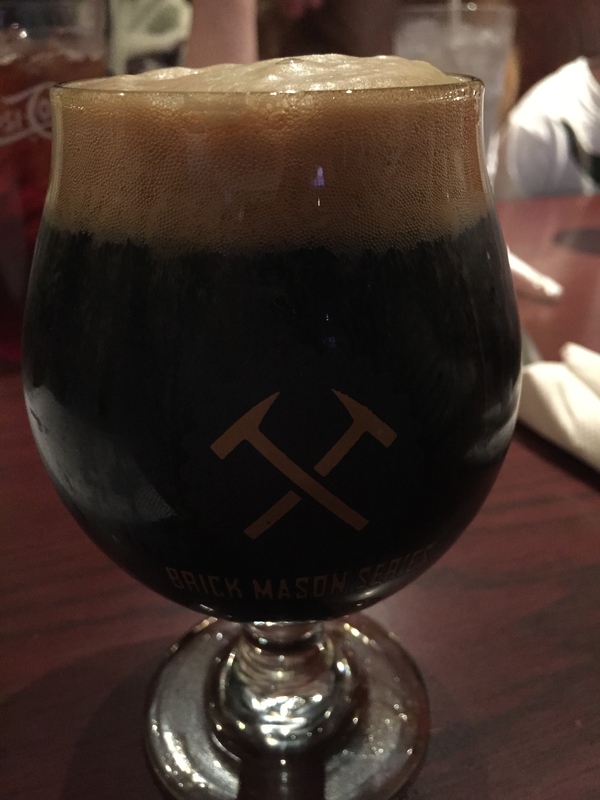 Burgers best served with any of a plethora of NC Craft Beers. You get your naan to ORDER. I mean, I could stop right there! But the soups are delicious, the meats are perfectly cooked. There are a few folks who say it’s pricy for kabobs but the quality of the beef and lamb are the reason you’ll pay a tiny bit more. And I promise, you won’t leave hungry. We don’t all need enormous plates of food. Fresh and healthy and made to order naan are where it’s at here. I really don’t even have to put them in here. The loyal customers that flock here on a daily basis know that one of the best places in WS to get a great value for lunch is at West End Cafe. It’s been years since we visited so on a dreary afternoon we headed there for lunch. By far, my favorite item at WEC is the Potato Pancakes. They’re served with sour cream and applesauce and they are just total yummiliciousness. I could just eat them only. But you must try the Reuben if you are there and any number of special soups for the day. Sandwiches are great and salads are hearty. There’s a reason why they always have good crowds. because they have specials that change nightly. They have traditional entrees like Chicken Parm and Veal Marsala…kind of famous for their Lasagna. The Shrimp Fra Diavlo will make your eyes water and your tongue tingle…but just enough to make you appreciate it’s devilish heat. Also, you must check them out when they have monthly Sunday Wine Dinners. I hear folks who’ve attended rave about them. And Mary Haglund of Mary’s Gourmet Diner said his clam soup almost made her cry. Which tells me I definitely need to try it. And so do you! 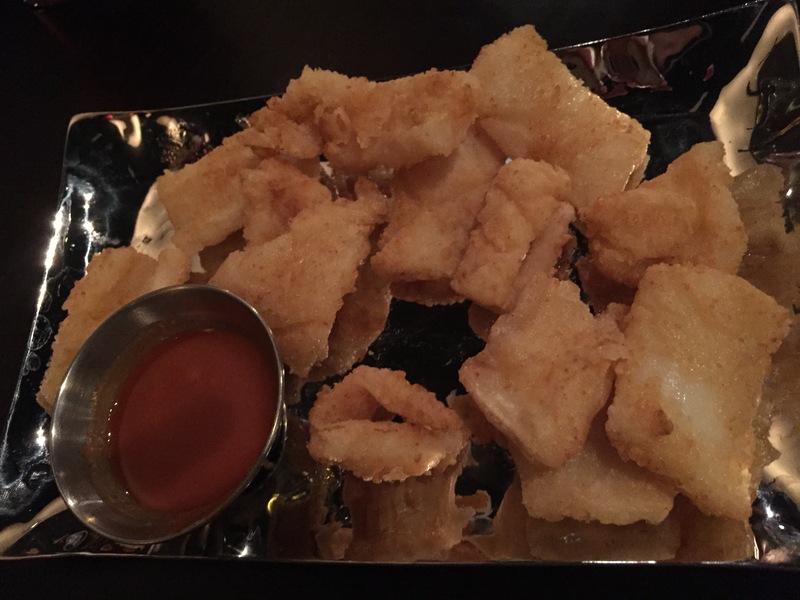 Also, please enjoy some Fried Ravioli. Yes…. Well, well….if you need a little kick in your lunch or dinner, look no further. I am a FAN. One of WSNC’s newest additions and it’s Jamaican fare has been well received. The Jerk Chicken is SPICY…so delicious and tender that the meat falls right off the bone. I highly recommend the rice and peas and make sure you get the cooked cabbage as a side—it is crazy good. The collards are delicious too. And the fried plantains. I need to go back. I’m getting a craving already. A little bird told me to get the Mango Cheesecake (after I’d already left—not like I had room to eat dessert though). Check them out. They are great for lunch because they have specials, which include a drink. There might be a bit of a wait…it seems longer than it actually is because it smells so good in there. But it’s so worth it. So that’s a good size list for now. Now, foodies…you’ve got some eatin’ to do! Let me know what you think. And as always, if you know of a place that we must check out, don’t hesitate to tell us. Until next time, skip the lines at the chains and eat local! This entry was posted in Restaurants, You Should Eat Here! 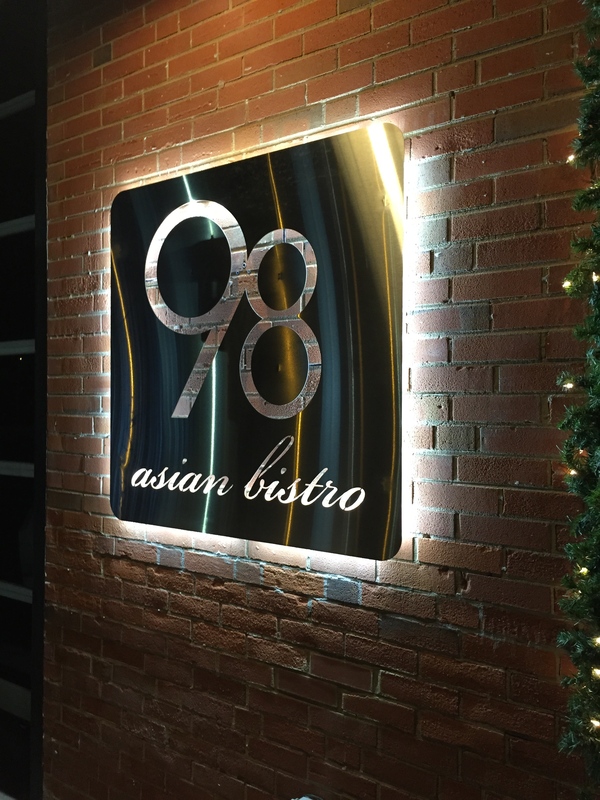 and tagged Asian, Burgers, chefs, Date Night, family friendly, foodie, Greensboro, Italian, Jamaican, local, West End, Winston-Salem on March 18, 2015 by triadfoodies.